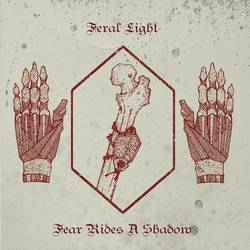 Two-piece Minneapolis, MN black metal band Feral Light is band with their second LP, Fear Rides A Shadow. Featuring A. Reesen on drums and A. Schoengrund on guitar, bass, and vocals, the band describes Fear Rides A Shadow as a continuation of their debut, Void/Sanctify with dirty passages, dense layering, complex melodies and "an overall bigger feel." Lyrically, the new release explores darkness, light, inner struggle, and growth. The CD is out now on Init Records and a vinyl LP will be available February 22 on Pulverised Records.